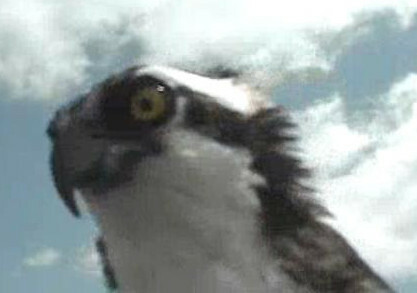 WASHINGTON – The Maryland Transportation Authority’s osprey cam is back. From noon to 12:15 p.m. Monday through Thursday, the agency will turn one of its traffic cameras at the Chesapeake Bay Bridge toward the bird’s nest. Last year, the authority made several attempts to remove the nest and force the birds to choose a different spot. But the plucky pair of osprey would not be put off and rebuilt their nest. 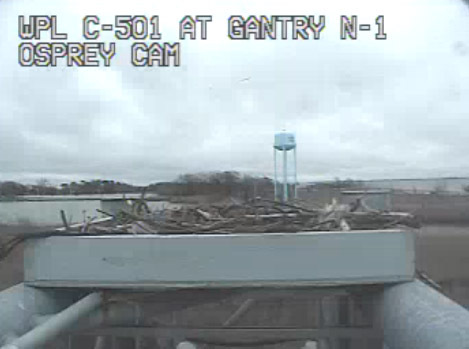 The nest sat atop a camera pole above the toll plaza facing the eastern bridge span. According to the Chesapeake Bay Foundation, the bay is home to the most concentrated population of osprey in the world. These birds mate for life and return to the same spot each year after spending the winter in Central or South America. They are considered an indicator of the health of the bay because their diet consists of fish from its brackish waters. Ospreys are protected under the Migratory Bird Treaty Act but their nests can be removed from some structures without a permit as long as there are no eggs or birds in the nest. Catch the ospreys in action here.